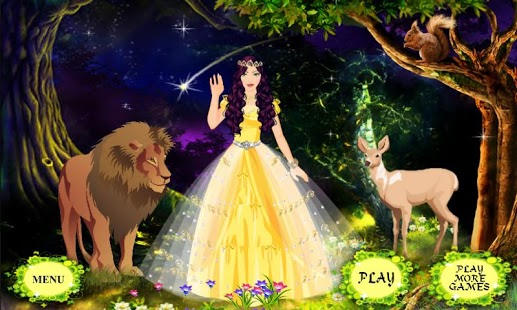 If, when it comes to free girl games, you have guilty weakness for fantasy/ fairy dress up games, then this game here is perfect for a princes and princesses, fairies and nymphs admirer like you! Go through all its three different sub-games, each one featuring one dazzling fairytale beauty and… cast your fashion spell upon all the three princesses! If you start picking the games from left to right, the first one you'd be enjoying would be the Animal Princess one. You'll get to meet the animals' charming guarding angel living in the fantasy world and, moreover, you'll get to fashionize her and work your own magic on her. Since this evening she'll be celebrating a very special festivity along with all the animals that she watches upon, you should think of a truly astonishing fantasy look for her! 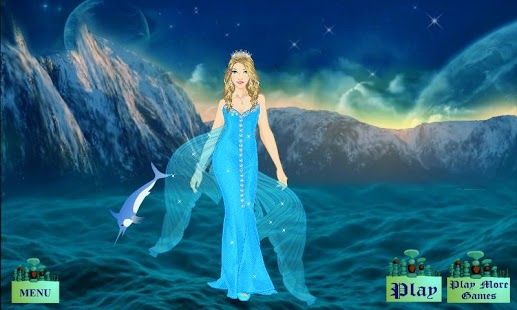 With simple point and click gestures, like in many other free girl games that you might have already played before, you get to dress her up in dazzling, long princess gowns ranging from superb, majestic full-skirt gowns and elegant, ravishing slit dresses. Glam up her look with a gorgeous, sparkly tiara and some lovely diamond earrings, keep in mind to style up her superb long hair, too, and she'll be ready to preside this festivity and stun all her animal friends with her gorgeous look! The second game of the sequence is the Fairytale Princess one! It, too, stars a breathtakingly gorgeous fairy lady, one of the most stunningly looking ones from all the free girl games that you might have enjoyed already, placed against a dream wonderland background, and ready, herself, too, to give you permission to scan through her stunning wardrobe and get her all styled up! Expect to find lots of stunning, jaw-dropping haute couture gowns, lots of diaphanous princess dresses that you could dress her up with, as well as plenty of resplendent jewels that you could pick from for covering her up in glitter, from head to toe! 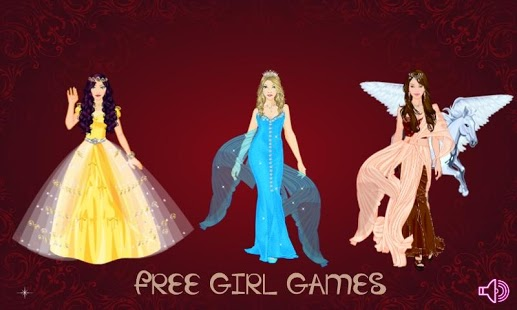 Download the Free Girl Games pack on your Android phone and you'll seize the chance of proving your super skills as a fashion stylist in the fairytale world, too, fashionizing three of some of the most ravishing fantasy beauty queens living there!